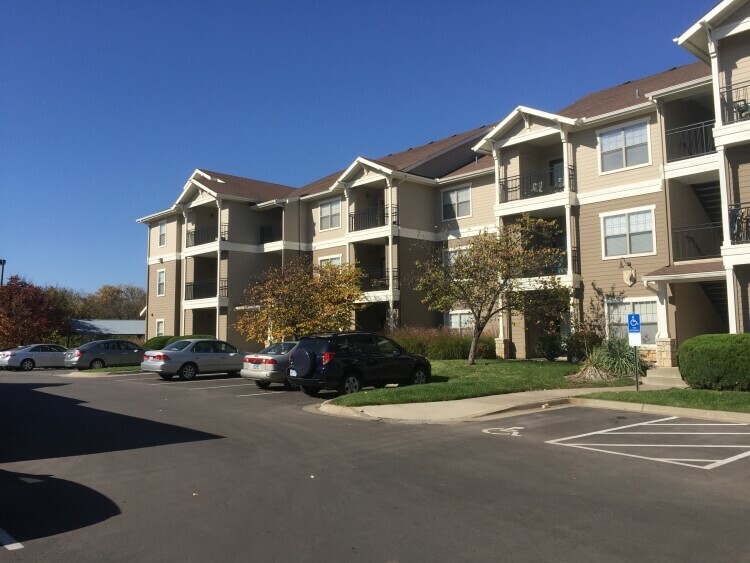 Legends Place is a 200 unit, 632 bed purpose-built student housing community located 1.3 miles from the University of Kansas in Lawrence, Kansas. Property features include clubhouse, resort-style pool, basketball court, 24-hr fitness center, 24-hr computer lab, stand-up tanning salon, cash wash and detail bay, outdoor grill, detached garages, carports and 24-hr. shuttle to the University. The University of Kansas is the largest university in the state of Kansas with an enrollment of over 28,000. Growth trends and the school’s 2014-2024 master plan both project 12% enrollment growth over the next decade. There is currently no new student housing construction in the pipeline. Upon acquisition, enhancements will begin on the clubhouse and common areas while select in-unit upgrades will be completed for the 2015-16 school term. The property was acquired in the ApexOne Growth and Income Fund I and will be held for long term growth and appreciation.